It's time again… for cakies of course. Another bosses' birthday was more than an excuse to get the butter, sugar and eggs out and make little goodies of deliciousness. 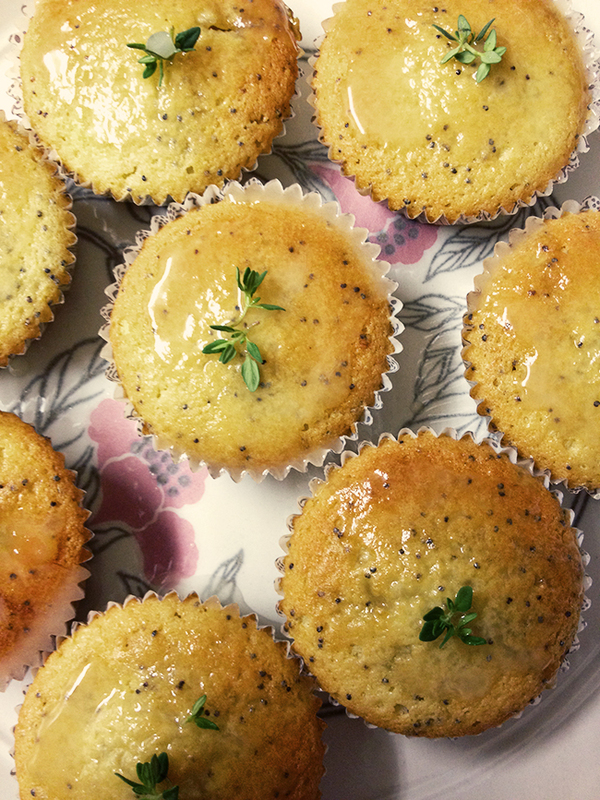 I made simple lemon drizzle cupcakes this time round. They're perfect with a nice cup of tea, as a picnic or BBQ dessert and the ideal little cake for summer. 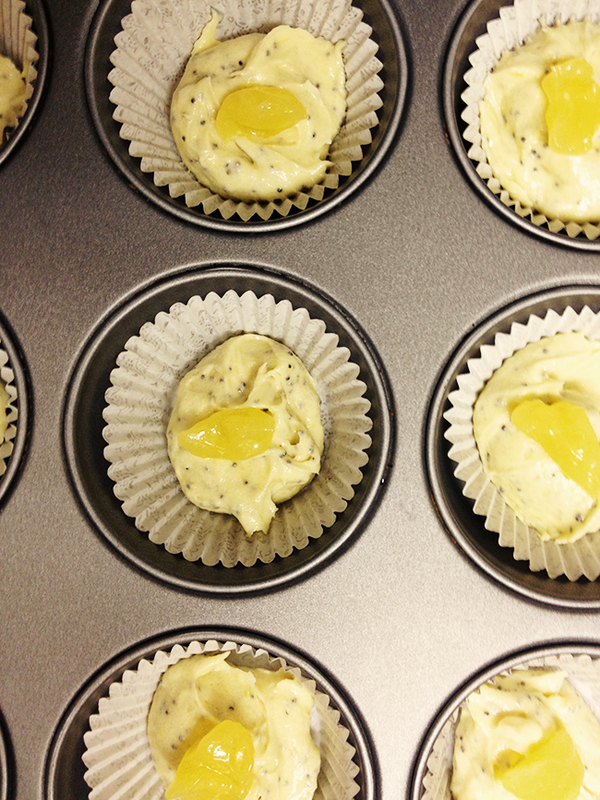 The oozy lemon curd centre and fragrant sprig of lemon thyme just add that extra little something to it. 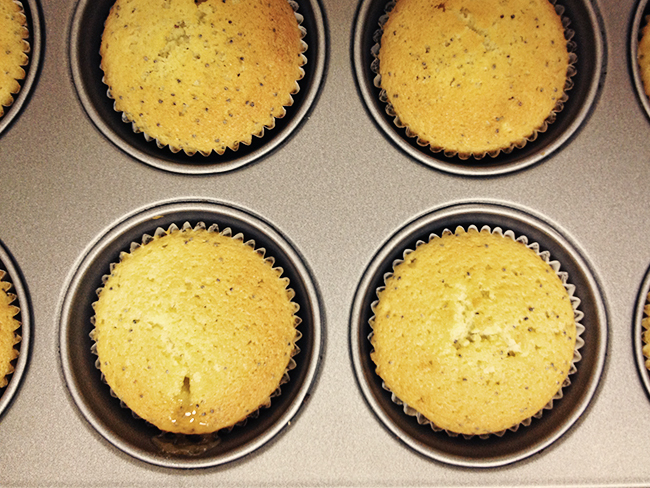 Preheat the oven to 180˚C and line a cupcake tin with 12 small or 10 medium liners. Beat the sugar and butter together until pale and fluffy. Mix in the vanilla essence and the eggs, one at a time until well combined. Fold in the flour, a third at a time until your batter is smooth and silky. Then mix in the poppy seeds. 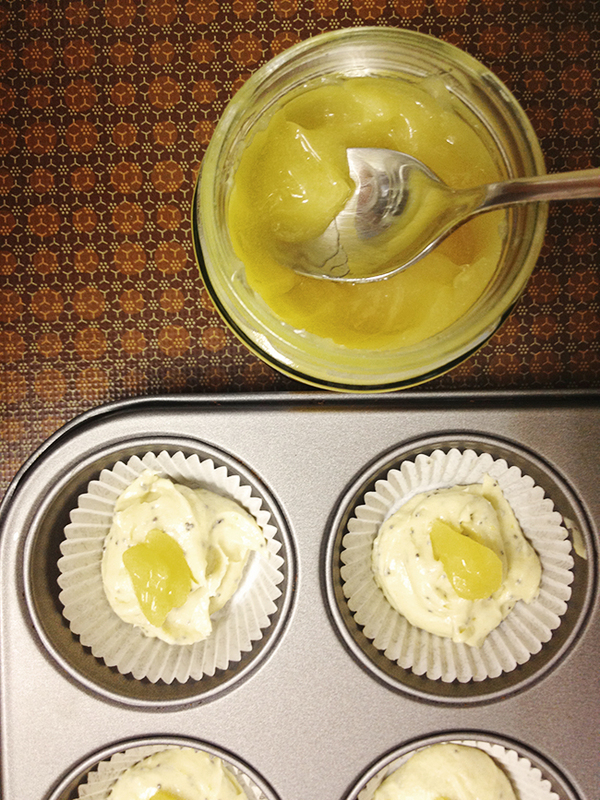 Spoon half the mixture into the cupcake tin and then top with 1/2-1 tsp of lemon curd. Finish off by filling up the paper liners with the remaining batter. Bake in the preheated oven for 15-17 minutes or until your cakes are golden brown and a cocktail stick comes out clean when inserted. Once done, place on a wire rack and leave to cool for 15-30 minutes. Mix the icing sugar and lemon juice until you have a smooth paste. 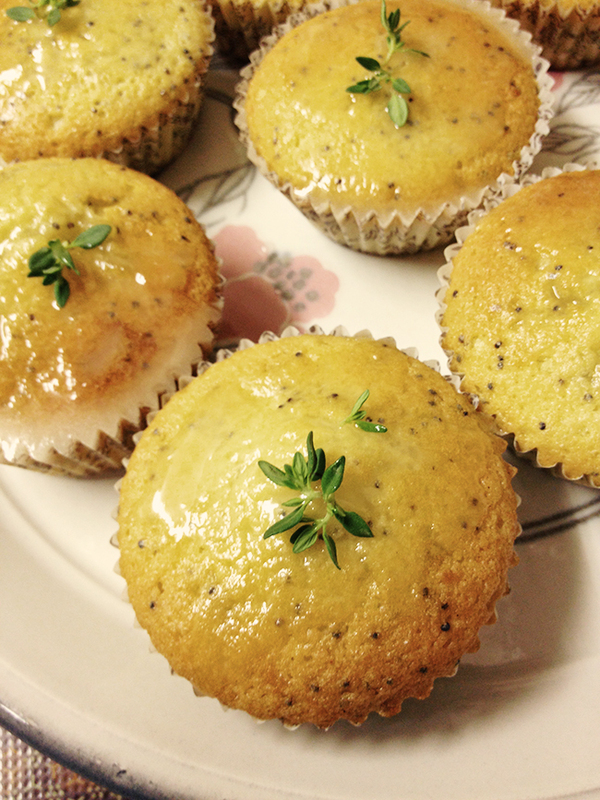 Brush the icing over the cupcakes and top with a small sprig of lemon thyme. And that's it... so simple and so yummy. Best consumed with, of course, a nice cuppa. Oh wow that looks pretty heavenly! I'm going have to try my hand at these ASAP!